Telling stories is part of the fabric of human society. Everyone has a story to tell ranging from events surrounding themselves or their families, friends, ambitions or their achievements. And man being the most prolific social animal, there is no dearth, neither of listeners nor speakers. Since the Upper Paleolithic to the Mesolithic age, when man discovered that he could also draw, using figures and shapes, he never stopped; on any surface, whether on rocks or on trees, inside caves or just about anywhere he could. Man realized that by drawing he could convey much more to his fellow counterparts. He did not yet know how to write, had no script, and so he drew illustrations and graphics covering his life for posterity. He drew inspiration from his society, his hunts and forages and what he learnt in his daily life. From that primeval age till today, man has realized the importance of communication via visuals, justifying “a picture paints a thousand words”. And like a picture, a PowerPoint slide does tell us a lot. The features and benefits of using a PowerPoint slide are numerous. A PPT slide may not speak a trillion words, that is the task of a video clip or a sound bite, but it sure does its job of conveying messages in its own subtle way. And coupled with the narrative from the presenter, it makes a power(point)ful and lasting impression. With an editable PowerPoint slide, you do not need numerous pictures or frames to get your message across to your audience. You can talk about almost everything using just a few slides. For instance, one can use the above North-East India editable PPT slide map to show the political status of North-East before British rule. You can remove the human icons, add a text box on the left hand side of the slide and add content as required. Change the shades of the gray color on the slide to highlight the areas ruled by monarchs and the areas where administration was looked after by traditional chiefs and village councils. You can do this by double-clicking on, let’s say Assam, and changing the color once it has been highlighted. 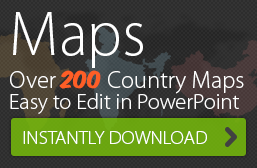 The map used above to illustrate the political and administrative institutions of NE India is made from native PowerPoint and can be edited easily to meet requirements. 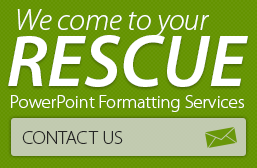 Once customized, they can also be inserted in Microsoft Outlook, Excel or even Word. You can learn more on how to use PowerPoint to your advantage.